Congratulations!! 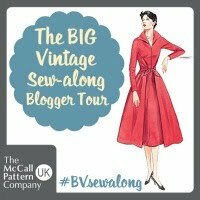 I get sew today if it looks a good copy and flick through threads at Smiths without buying and just like you wait for the burda review to arrive in my blog reader. Never found a copy of cloth to look at though! Oh no! Never seen Cloth at a WHSmith's? That's where I got my copy last month and I must say, I really liked it! Thanks so much Hannah! The editor emailed me and asked me if I would be happy to be featured and then asked me to send over a number of photos. Oh that's wonderful Marie! You're famous! 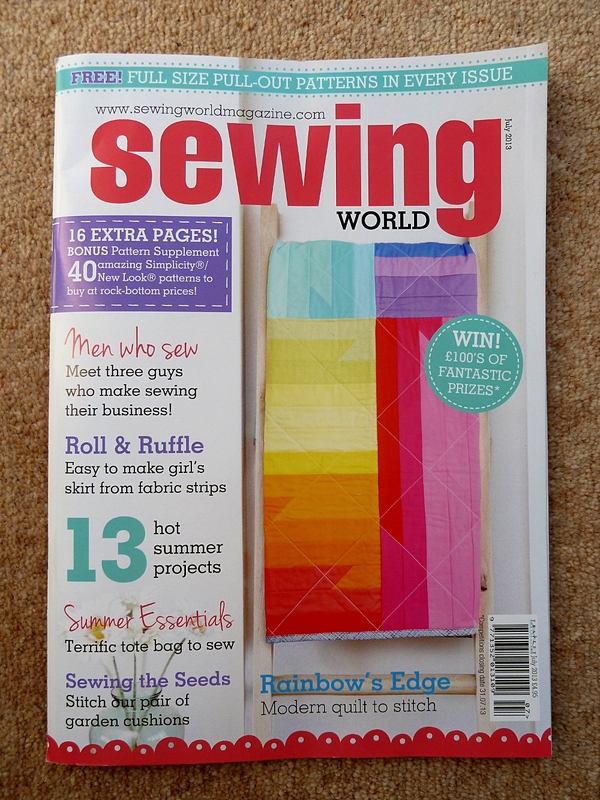 I don't buy Sewing World but I will be doing this month as you're in it! I subscribe to Cloth but that's more out of loyalty/habit as I've subscribed to it since it started. Aaaw, thanks Jane! 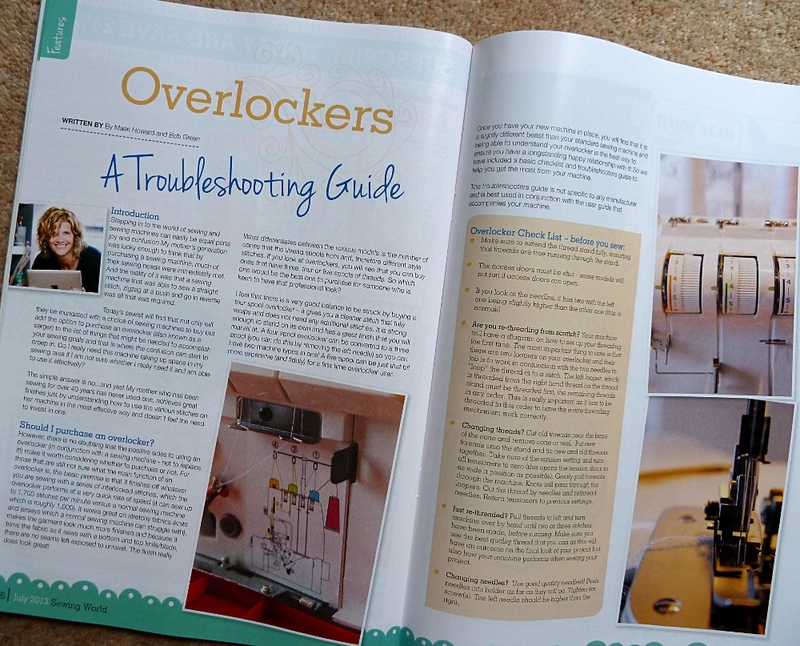 I also buy magazines when I know my sewing friends are featured ;o) I think I'm with you on the fact that flicking through physical pages is deeply satisfying! I don't buy fashion magazines anymore, but I subscribe to two sewing magazines (Burdastyle and the Swedish magazine "Sömnadsmagasin") and I buy the women issues of Ottobre. 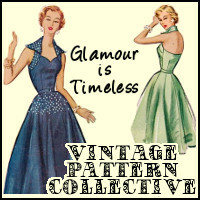 The magazines give me inspiration and of course sewing patterns. It's funny how the patterns I like changes from when I first get the magazine until I read it next time, and next time, and next time... :) The magazines make up a pattern library for me, that I can search whenever I want to make something special. Thanks Johanna on your kind words and the insight into magazines! I suspect you have quite a library now! Oh wow, congratulations. 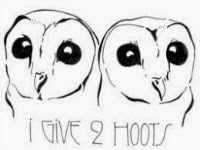 I've been reading your blog for a little while, but haven't yet posted a comment (Sorry about that). But this is amazing, well done you! Thanks for leaving a comment Anna, you're very kind to do so! Congratulations on being featured! What a great range of items you got into it. I tend not to buy magazines but I will flick through them when I get a moment to find them in the shops. I can find most of what I need online. Wow! Congratulations! 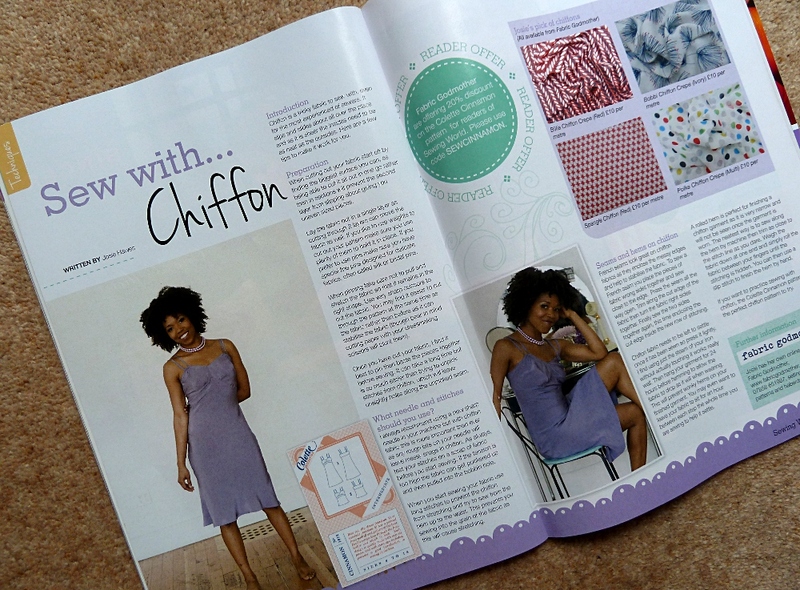 It must be such a joy, even if you are not into sewing magazines! I personally buy mostly Burda or suchlike if I like their patterns.. I actually started a subscription to 'Sew' because there was an amazing offer to get the Colette Sewing handbook and two colette patterns free when you signed up. I'm ending it soon because I don't find all that much of the magazine really useful (like you say, the interesting parts I can really find online) but it was a hard choice because you do get some great free patterns! Thank you, it really is exciting! That Sew offer sounds like an amazing one...what a good deal! But yes, there are so many amazing resources online that can easily be found through google! Congrats on being featured in print! That is excellent. I recognize all the things you have sewn! I typically do not buy sewing magazines but I may have to start. Yay, congrats! That's so exciting! I've never bought sewing magazines (except an issue of Threads once) as the ones here in the States don't seem as fun as the magazines you guys have in the UK, but I'd like to! I really like magazines, so if I could find ones worth subscribing to, I'd be all over them! Thanks Sonja! 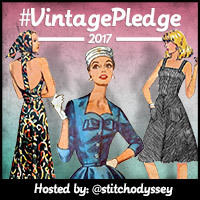 I have heard excellent things about Threads and Selvedge...and I did enjoy reading Cloth! I find it surprising that you don't have a good selection of them in the US!?! I've found UK magazines at some Joann & Hancock locations in the Seattle area & they do look a lot more fun. A newstand style stire carries then too. id suggest looking there. Other than Threads I really can't name a US sewing magazine. Not sure why, maybe we need to launch our own! You're a celeb! :) Congrats!!!!!! That's amazing, Marie! Congratulations! That is super super exciting! Well done Marie! You sew deserve it!! I've never bought sewing mags and I no longer subscribe to any knitting mags as I never seemed to like the patterns, but I've definitely considered (and been recommended to) subscribe to Threads. People say fabulous things about it! Thanks Tasha! Yep, Threads seems to be a well-loved magazine! Congratulations!! 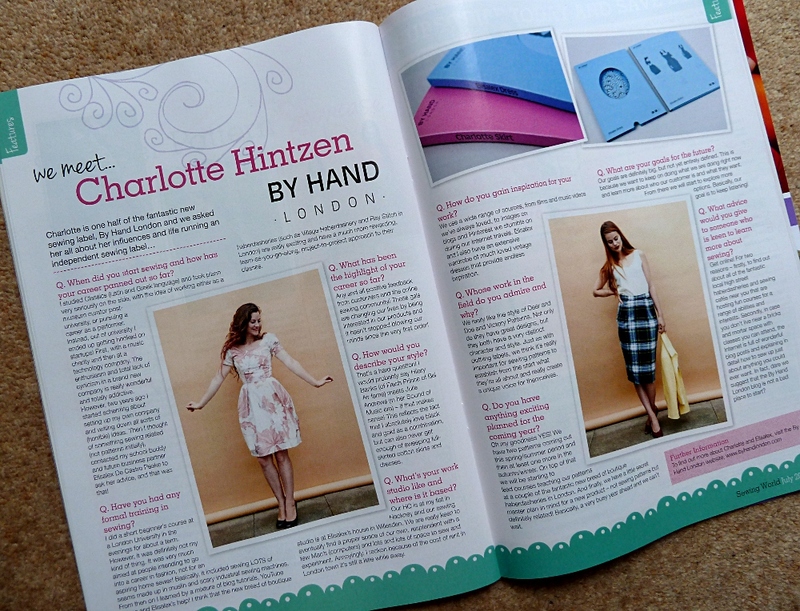 I don't buy sewing mags for the simple reason that they're hard to come by where I live. That's unfortunate, but thankfully the internet is such a rich source of information for us! It's terrible that not all cities / newsagents are created equal in that respect! I'm not much of a sewing magazine buyer. I find google and YouTube can usually answer all my questions. Congratulations on the feature! That is so cool. I love that your Minnie Mouse dress is in there! Thanks Kat! I'm happy I got that dress in too! Thank you Winnie! I think I'm going to have to get on board with Threads soon! How exciting Marie! You are a sewing celebrity! I wish we had that magazine in the US.id love to read it. Thanks Tania! I guess it might be a case of keeping your 'enemy' closer and working with 'us' to try and bridge a gap?!? congratulations, Marie! I don't usually read print magazines, but his issue does seem to have a couple interesting articles, though. Haha, can you imagine if I was!?! Hooray - you're a star! Congratulations! That's so amazing, I'm so pleased for you! Congratulations on your feature. 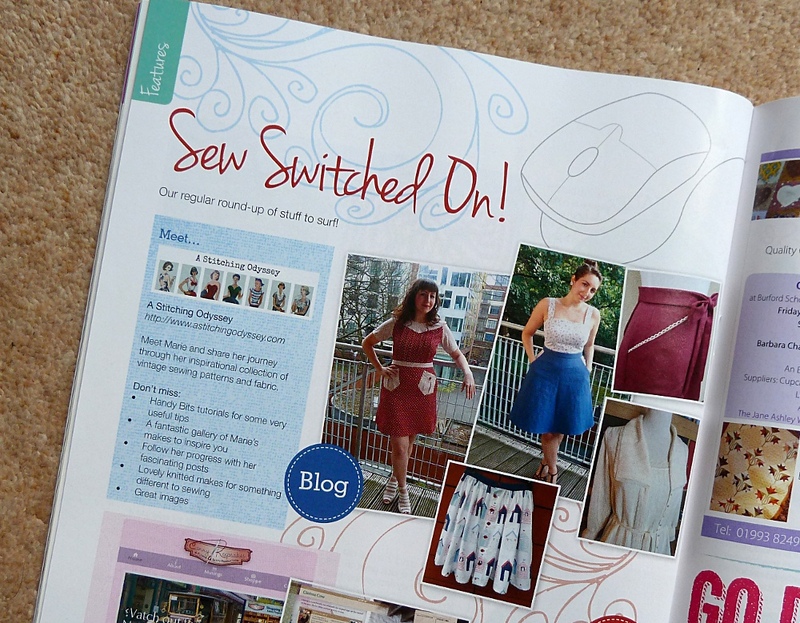 I don't buy sewing magazines much anymore, or rather I do sporadically,but usually end up dissapointed. I used to sub to Ottobre, and Ottobre Women for several years and have quite a collection, and buy the odd Burda. 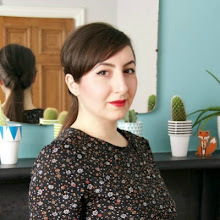 Ive tried Mollie Makes, Sew Hip and Sew and not been terribly inspired. I recently subbed to Cloth, but it's not doing it for me. My teenage daughter likes it, and it seems aimed more at beginners. I'd love to find a magazine aimed at more experienced sewers, but still glossy and up to date. There is something so decadent about curling up on the sofa with a good magazine and a bar of chocolate...maybe that's just me though! Jeanette, I've heard rave reviews of Threads by experienced sewers...so maybe try that out?! So amazing yet so well deserved. Very happy for you. Wow Marie - that's great that they featured you :)! Thanks Claire! I think I need to get on the Threads bandwagon! WOW WOW WOW!!! Congratulations lady! That is so awesome! Thanks so much Jen! Yeah, Threads is proving quite a popular one! Thanks so much Gill, it means a lot! Congratulations on being in print! I don't buy magazines here in Oz as the overseas ones are super expensive and there is only one local magazine and I am 40 years too young for the aimed at demographic! Thank you! I do think there's a fine line regarding the demographic many sewing magazines are aimed at! Thanks very much Susie! How excellent that you are a monthly contributor...how exciting that must be! Woohoo congrats to you, how very exciting!! Oh yay, congratulations! I'll try out that magazine, I don't think I've tried it before.